Product #979 | SKU Z-QMA | 0.0 (no ratings yet) Thanks for your rating! 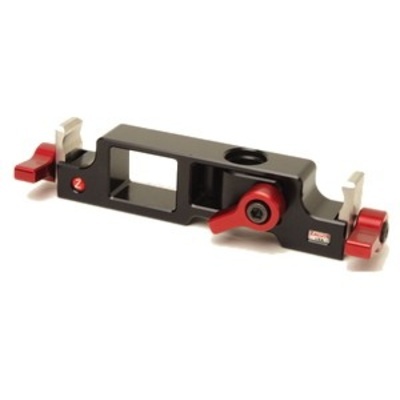 Zacuto's universal Z-Release mount for 15mm studio offset rod systems can be installed anywhere on your rod system without removing any equipment; it attaches by mounting underneath the rods and tightening the outer levers. The Q-mount 15mm studio has many uses including: mounting Zamerican arms for monitors, lights, harddrives, etc, other arms with Zacuto Zuds (available in 3/8 16" and 1/4 20" both male and female) or 15mm rods.